This is a great first in series laying the groundwork for the series. There are more questions than answers in this book and you must continue to the next book to get any answers. The story help my attention but I wish we were given some answers in this first installment. The characters are somewhat flat but I have hopes they grow as the story continues. 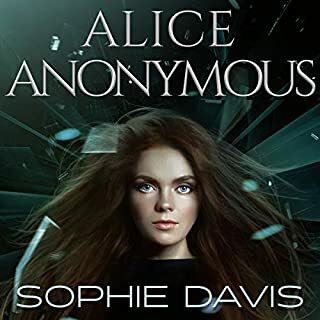 The narrator did a superb job at bringing the story and characters to life and I would not hesitate to listen to other books narrated by her. I look forward to book 2 which will hopefully offer some answers to all of the questions I have. I absolutely loved this story! I wasn't sure what to expect, but by the end of the story I was hooked. I loved the back and forth between timelines and the different clues that are encountered along the way. The cliffhanger ending left me wanting more and I can't wait for the next audio book to be released! I definitely found my next series to be addicted to. Amazing job Sophie Davis! Sophie Davis masters the psychological thriller. Darkness becomes your best friend, even as it remains your worst enemy. The chill lies in the unknown and Fragile Facade feeds on that uncertainty and never let's go. Raven stumbles into that blank space to help a stranger and may not survive the fall. Haunting nail biter. I received this book for review from audiobook boom. Let me just start out with this - I did not know this was a trilogy with cliffhangers! Ok moving on. I really enjoyed the writing style. It was well done, elegantly stated, and I really felt like I understood the characters and their world. 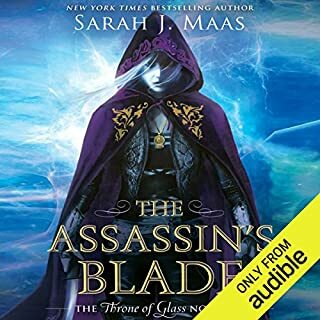 I enjoyed the audiobook narration with the intonations that differed between our two main characters. 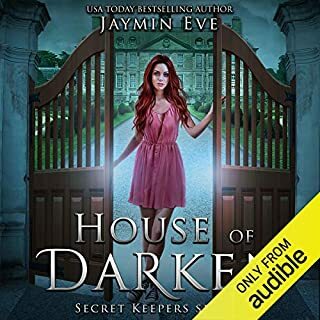 I enjoyed the narration voice and would definitely listen to more audiobooks from this narrator. Her tone of voice, pacing, and speaking style were very pleasant and I truly appreciate a good narration. I liked how the plot flipped back and forth between the two girls showing just a piece of their world and leading to the next point in the timeline for our clue hunter. The disappeared girl, well her timeline jumped around a lot and I'm quite a bit concerned about what's happening to her. So let me get back to what I am not fond of in this book, and what affected the rating. It feels like the book was just getting started. That it was all set up to go great places when it just ends. I can't with that. Raven took so long to figure out any of the clues, and I'm thankful for her neighbor and possibly boy interest who pushed her in the right direction and helped figure it out. Raven was starting to disappoint me. Lark I really liked, she wasn't a pretentious heiress, but was hiding some real depth of character and started doing a bit of sleuthing on her own. But we don't know what happened. We only know she's in trouble, and she expected to be in trouble, which is why she set up this puzzle for Raven. Why Raven? I don't know either. Will Raven find Lark and solve the puzzle? I sure hope so! But like I said just as it was getting good, the book stops. And I want to KNOWWWWW what happens NEXTTTTTT someone please get me the next book! 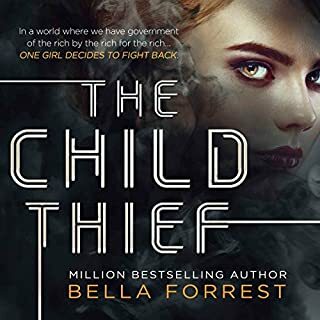 I loved the mystery and intrigue in this book, there's a lot happening and there are connections that haven't been revealed and have left me wanting the next book so I can see where this goes next. The characters are vividly crafted and beautifully realistic, the world is one I could walk out into and it all comes together to paint a vivid picture. On the surface Raven and lark could not be more different, their upbringings are almost opposites and yet I get the impression that there is a connection and I want to know what it is. The character voices are well done and the pace and tone of the delivery are a good match for the story. What a Cliffhanger and twist at the end! I really hope the next one comes out soon because I NEED to know what happens next. Excellent story! I’m not usually a fan of books that flip between past and present because I feel that the story has to be written very well or it causes confusion. Davis nailed the writing of this story, I didn’t have a hard time following along and the switch between past and present went so smoothly. Raven and Lark’s stories were fascinating and the book grabbed and held my attention to the end. The narration was also done very well. There was nothing in the reading of the book that took away from the story. 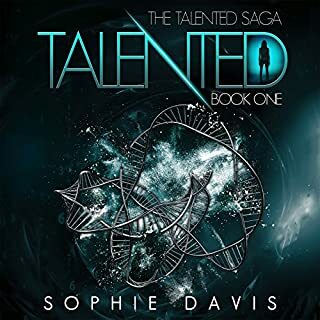 I would definitely listen to another on of Davis’s books or another narration done by Sarah Puckett. I highly recommend this book. I was provided a free copy of this book at my request for my honest and unbiased review. Such a captivating read! I was definitely hooked. My word! Fantastic. Perfect for readers of mystery and thrillers. The narrator did a grand job of giving life into this book. Wonderful! This story is a real page turner. From the beginning to the cliffhanging end. 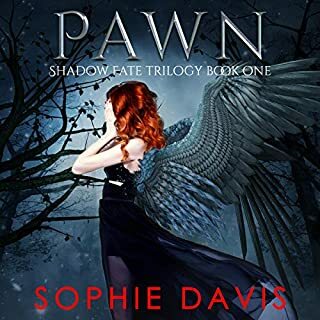 It is full of mystery, intrigue, lies, deception, compassion, and this is only the first book, what does the author Sophie Davis have lined up ahead for the missing Lark, and the young naïve Raven who has no idea what's a head in her investigation. I can't wait to listen. Sarah Puckett did a fantastic job keeping me on the edge of my seat so far in this arresting tale. this does end in a cliffhanger, BUT WHAT A STORY!! I am not usually drawn to thrillers like this one. But this one grabbed my attention from the blurb. Not many books can do that. This story had me so confused in the best possible way. I just could not put it down, trying to predict what would be happening. My heart was just racing in certain parts. I just love Sarah Puckett and completely enjoyed her performance. I am eagerly dying to get into book 2. I have become a fan of Sophie Davis and will be looking for more of their work. A definite must listen. Raven stumbles upon a missing girl and a mystery when she agrees to move into an apartment while the original person is traveling abroad. She discovers that the girl's disappearance may have been more dark than anybody realizes. The more she searches the clues the further involved she gets. I loved this book. The further into it I read the more I wanted to. I loved the fact that this story was told in both perspectives. It added mystery and intrigue to the story. I am totally hooked on the characters and need to be all about their lives more right now! I couldn't get enough. I have too many questions that need answers. Normally, I'd go on about the things I didn't like. However, I loved everything about it. So, I'll just take the time to gush over the narrator. This is not the first book I've heard Sarah Puckett narrate. Oh my goodness is she talented! She brings the characters to life of all stories she narrates! I fully recommend her! This book was amazing, but it's got a cliff hanger. I fully recommend having the second book handy to delve right into. I wish I had it so I could just start immediately on it. I will find a way to get my hands on it and devour it! This has been an amazing book and I'm glad I read it! Clues, Mystery, & Secrets Intricately Weaved! 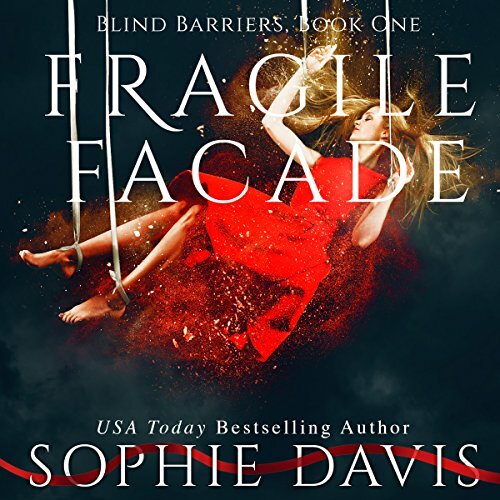 Fragile Facade is a mystery, a enticing narative with a writing style that creates distinctly crafted characters & draws a vivid picture. Clues, mystery, & secrets intricately weaved throughout the narrative to create a suspenseful listen. Going between past and present timelines with well detailed world building descriptions & settings. With a set infrastructure that leads into this psychological thriller. We are left with more questions than answers in the end. This ends with a oh my stars and garters cliffhanger. Looking forward to listening to book two in this triology. I absolutely love the twist at the end. Sarah Puckett is a professional narrator/storyteller whose flawless performance accentuates the characters. Everything flows through smoothly at the right pace & tones. Character's are given their own voice. I need book 2 like now!!! !